Mid Michigan Community College art student Payton Pringle received a $5,000 first place scholarship at the Annual Great Lakes Regional Community College Art Exhibition, hosted by the James Pearson Duffy Department of Art & Art History at Wayne State University. Michigan community colleges were invited to provide original art by two students and one faculty member. In total, approximately 70 works were submitted to the juried show. Dillon Pringle, 25, and Payton Pringle, 28, brothers from Mt. Pleasant, represented MMCC with their original acrylic paintings. Pat Block, MMCC faculty member, exhibited digital prints. Both Dillon and Payton plan to pursue Bachelor of Fine Arts degrees in illustration after they complete their Associates Degrees in Visual Art at MMCC. Dillon hopes to eventually teach college courses while showing his artwork and writing and illustrating children’s books. Payton plans to continue pursuing his musical endeavors while creating commercial posters and cover art. “We want to thank MMCC, Wayne State and especially Shelley Greer and Pat Block for the opportunity to show our work at Wayne State alongside other talented students and faculty from around the state,” Dillon Pringle said. “It’s great to see people recognize our vision and appreciate what we do. While [Payton and I] both appreciate and enjoy traditional artwork, we tend to lean towards the surreal and fantastic, so it’s great that people also share our joy in curiosity and wonder. Payton and Dillon will participate in Mt. Pleasant’s ArtWalk Central for the third and fourth years respectively. 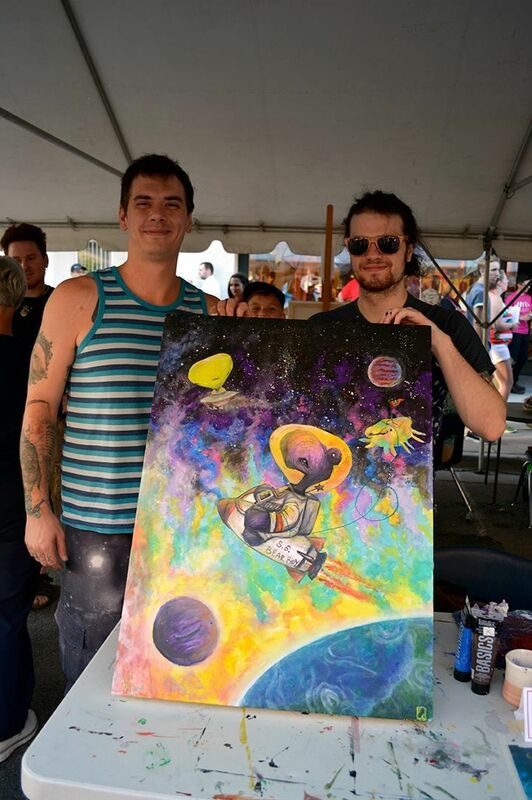 At the Art Battle that kicked off this year’s event, the brothers took second place for their collaborative piece “Bear Boy Goes to Space.” Throughout ArtWalk Central, their work will be displayed at Art Reach. Payton’s original pieces can be viewed at facebook.com/Articulumpandorum. Dillon’s art is featured on his website www.dillonpringle.wix.com/artwork. Their artist profiles and vote codes can be found on ArtWalk Central’s artist site (artwalkcentral.com/artists). The voting period for ArtWalk Central ends Aug. 18. For more information about MMCC’s art programs, visit midmich.edu/art.